Promoting their brand new single, ‘Devil in a White Dress’, the Vancouver based rock band The Faceplants are fresh off of their biggest and most successful tour to date. The ‘Devil in a White Dress tour’ saw them performing to thousands of new faces, and creating brand new loyal fans in every city along the way. After spending months of non-stop endless writing, band members Dan Botch, Garrett Ward, Graham MacKinnon, Paddy Spencer and Chris Wong are truly tapping into the true identity of the band, kicking off a brand new chapter in 2016. The buzz surrounding their last single ‘Why’ triggered an overwhelmingly positive response on social media and gained the support from TV and Radio stations on tour across the country. 'Why' is proving to be the most successful and popular release The Faceplants have to date. Rapidly increasing in popularity online, it is becoming a favourite with seasoned fans as well as brand new ones, catching up to The Faceplants debut release 'Last Night' (Over 100,000 views on The Faceplants Official YouTube channel). "Although there was no definitive 'structure' of who The Faceplants were in the very beginning, through writing song after song I stumbled upon my own sense of comfortability. An identity wasforming". Dan adds. "I've always been a fan and student of pop, rock and reggae, specifically bandslike No Doubt, Sugar Ray, Sublime and The Police, so it just seemed natural to combine what I knewbest and just let it all flow out of me. The result became definitive and clear when everyone stepped onstage together as a band. An identity has formed. Energetic, upbeat anthems with a splash of an 'in your face' personality and performance, making a stamp on the stage and turning the head of whoever was in the room". Filling the most popular venues in their hometown (The Rio, The Roxy, Venue and Tom Lee MusicHall), The Faceplants started their growth of dedicated followers with the release of their debut EP,teaming up with Tommy Mac of the Juno Award winning Canadian band, Hedley, to produce the record. From that, in partnership with Much Music, the band filmed and released the music video fortheir debut single 'Last Night'. This introduction to The Faceplants was the beginning of a steady growth of followers locally, and eventually on a national level. 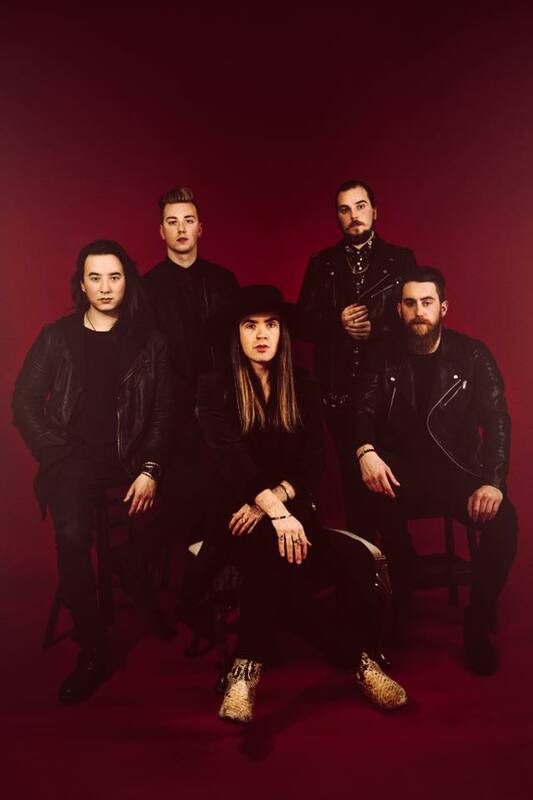 With help from all the hype, their new single ‘Devil in a White Dress’ is set to break down new walls and present the band with new opportunities. Scheduled to embark on another Canadian tour in support of their upcoming album, as well as hitting Western United States for the first time this fall, The Faceplants are excited to bring their infectious, energetic, and unforgettable show to new faces, turning strangers into loyal fans. Before hitting the road, The Faceplants will return to the studio with Juno Award Winning producer Ben Kaplan (Biffy Clyro, Mother Mother, Hedley), to start carving out the creative path to The Faceplants forthcoming LP. With their 'in-your-face' attitude, powerful and unforgettable songs, and sheer tenacity, The Faceplants are here to make a name and lasting impression on whomever their music reaches, worldwide. No gimmicks, The Faceplants are the real deal. The Faceplants have appeared, performed and been interviewed on several national television news outlets including Global News, CTV News, Shaw TV, and CFJC News. They have also appeared and have been featured select print media including 24hrs News, VIES Magazine, Canadian Beats, among a plethora of online blogs and websites.